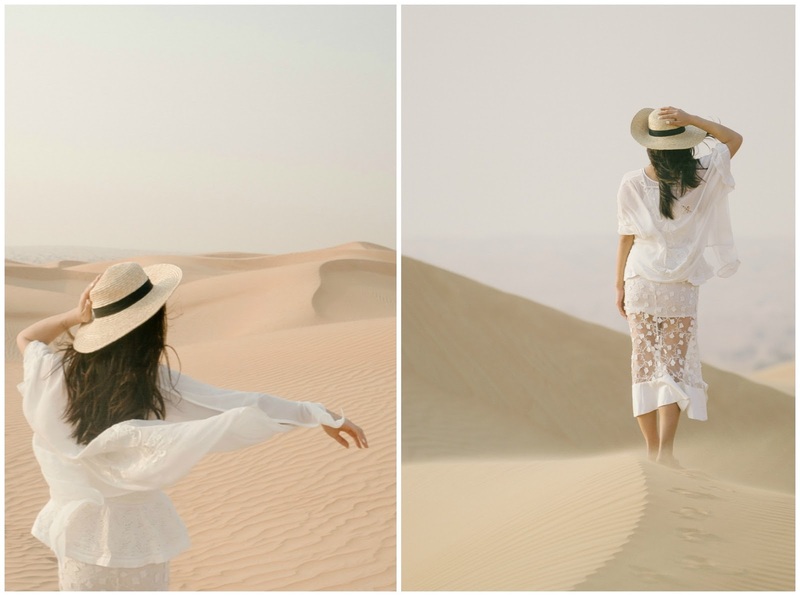 Li Chi Pan : The Dunes of Dubai. I officially touched down in Sydney at seven this morning and i'm still feeling slightly dazed from the jetlag which seems to have taken quite a toll on my exhausted body. But when I speak of exhaustion I speak of it in a positive light. Exhaustion from being on an adventure is never a bad thing! 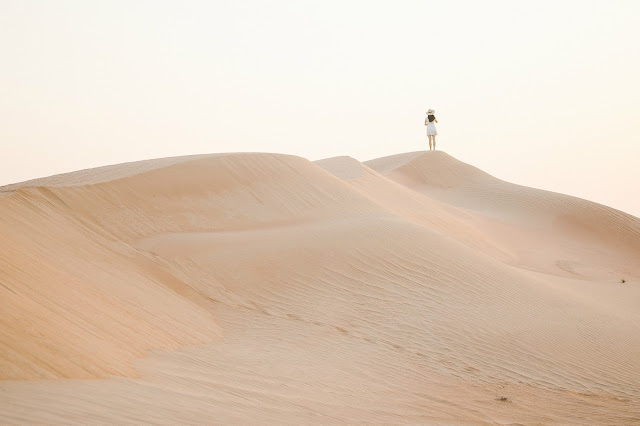 I've been itching to share these photographs from the vast Arabian Desert with you all. 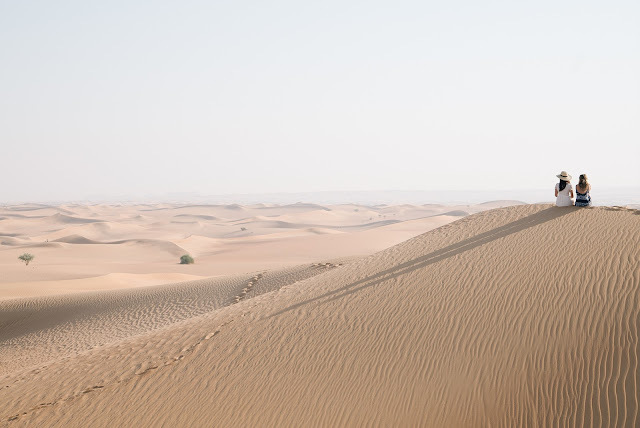 No visit to the UAE would be complete without a visit to this desolate but incredibly beautiful landscape. I hope that you are able to live vicariously through some of these images. 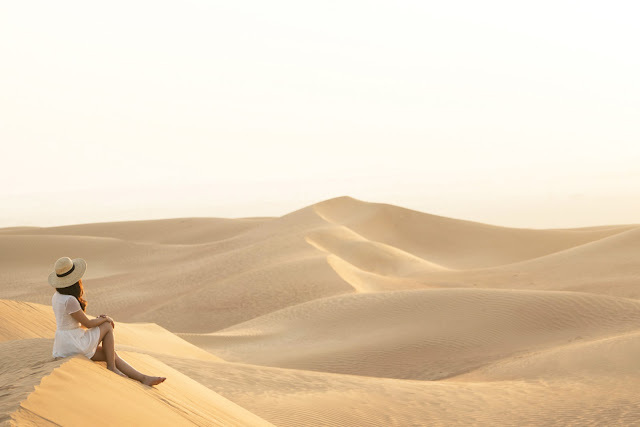 We spent the morning driving over the twisted, steep slopes of sand to catch the sun rising over this eerie and majestic stretch of desert. 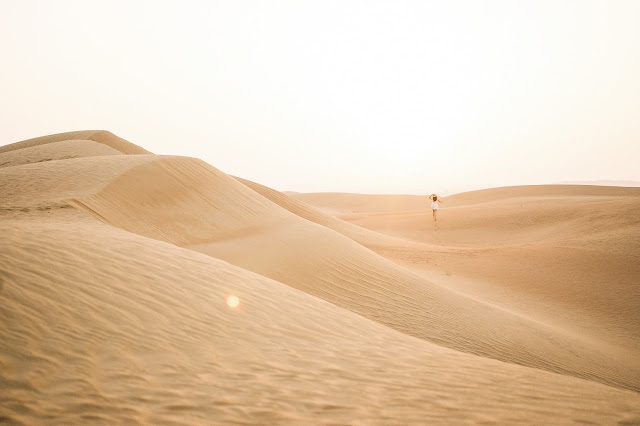 As soon as we arrived I hopped out the car and ventured off with Rob into the rolling mountains of golden sand. I love shooting with Rob as he has this knack of making me feel at ease and in my element when shooting. He's an incredibly talented photographer who's about to start a new chapter of his life as a photographer and I couldn't be more proud of him for pursuing his passion. When travelling in such a vast landscape it honestly makes me feel so modest and helps me to see what a tiny place a person truly occupies in the world. 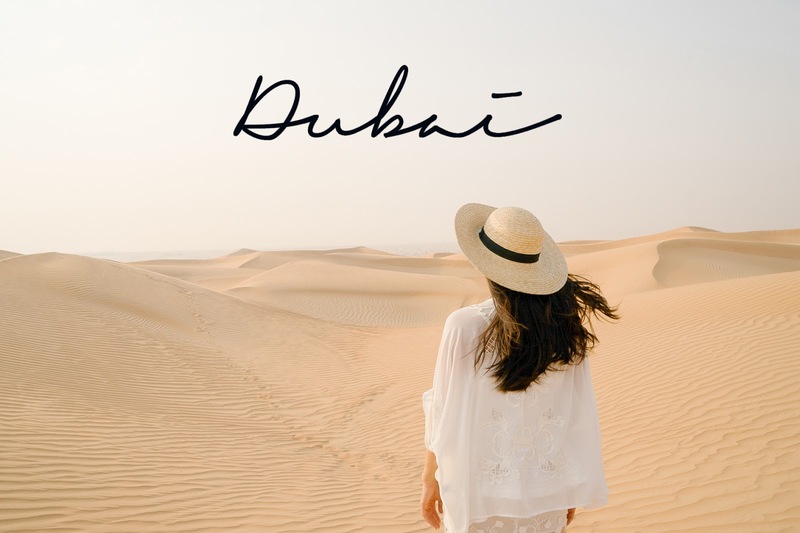 Dubai has really left quite a significant impact on my life and as with any journey who you travel with can often be more important than your destination - and I was blessed with both on this trip. 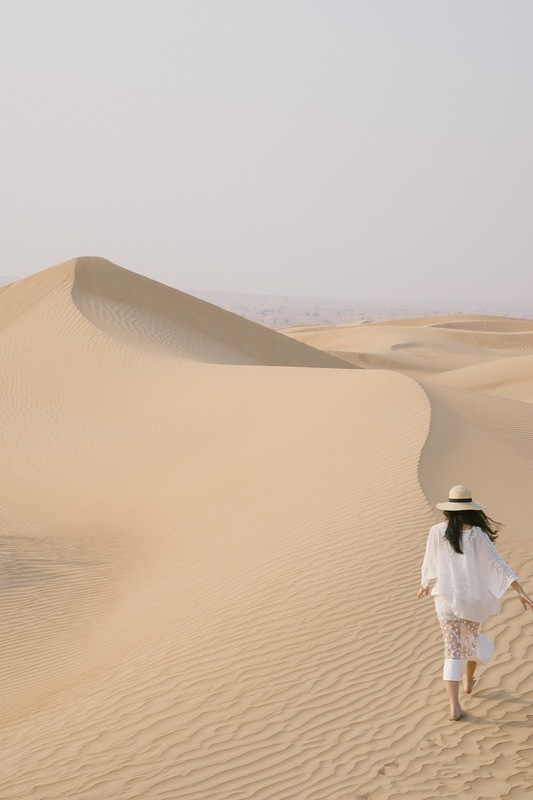 How lucky am I to have experienced the Arabian Desert in the most magical way?